Do you take probiotic supplements, or have you decided to start taking them to improve your overall health? Probiotics can be beneficial for most people. They are frequently used to improve conditions ranging from diarrhea to eczema. There are plenty of probiotic supplements on the market for various purposes, but when is the best time to take probiotics? We’ll help you to decide that answer for yourself over the course of this article. When most people talk about probiotics, they are usually referring to supplements that contain live, “good” microorganisms such as bacteria or yeasts intended to improve health. These microorganisms can also be found in many foods including yogurt, kefir, sauerkraut, and other fermented products. You may be wondering why anyone would intentionally consume bacteria. I know that I grew up under the impression that bacteria were germs and germs were bad. You go out of your way to avoid bacteria, right? As it turns out, certain bacteria are actually incredibly important in the function of our bodies. The so-called “good” bacteria that are found in probiotics are an important to the health of our digestive systems, skin, mouths, and more. These bacteria may also be crucial to our development. Studies done on animals who are raised in completely ‘germ’ free environments found that the animals didn’t develop fully. (source) Lack of bacteria may actually cause illness just as some bad bacteria can cause infection. The good bacteria that make up probiotics improve your health by crowding out the bad, therefore maintaining balance. They can also potentially provide that balance for other areas of the body where a unique microbiota is maintained. 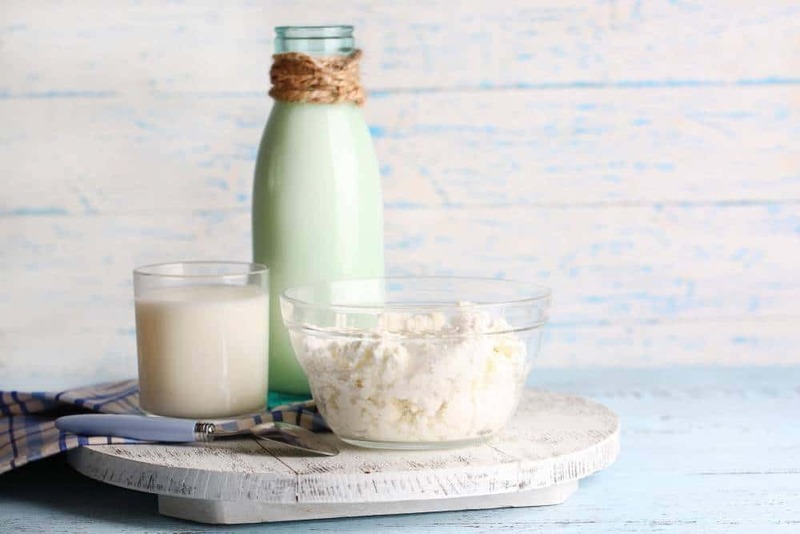 Aside from these approved uses, research has shown probiotics might be helpful in the treatment of some digestive disorders, allergies, asthma, skin conditions like eczema and acne, oral health problems, colic in infants, and liver disease. More study is needed on the use of probiotics for these conditions. What science has mostly agreed upon is that probiotics are relatively safe under normal circumstances. (source) They’re unlikely to do any harm to the average person. After all, people have been eating probiotics in fermented foods for centuries. A probiotic taken at any time of day is unlikely to hurt you. There are a couple things to consider when you’re shopping for a probiotic supplement. First, you’ll want to check which strains are included. There are supplements that contain many strains of bacteria. Unless there’s a specific strain that has been proven effective for treating your issue, these may be best. You’ll want to make sure that the supplement is made by a reputable manufacturer. These supplements are ideally produced in a lab that is GMP (good manufacturing practice for pharmaceuticals) and FDA certified. You can also check third party testing sites like LabDoor to see if the product can back up the claims made by its manufacturer. You’ll want to look at the CFU (colony forming unit) count. A higher CFU count indicates more beneficial bacteria in the supplement. Make sure that you differentiate between CFUs per recommended serving and CFUs per capsule. As far as recommended dosages, there are no set-in-stone guidelines determining the dosage of probiotics you should take. Ideally, you’ll consult with your physician and keep in mind the manufacturer’s recommended dosage. When shopping for a probiotic supplement, you’ll likely see CFUs per serving anywhere between 1 billion and 30 billion. In most cases, more is better. Why Take Probiotics at a Specific Time? Taking your probiotic supplement at the best time ensures you’re getting the most out of it, rather than wasting it due to interactions with food or antibiotics. Why bother investing your money in supplements to improve your health if they aren’t providing you with the best probiotic benefits possible? You may also be able to avoid some of the potentially unpleasant side effects that some people experience while taking probiotics. If you find that taking them on an empty stomach causes stomach trouble, try another time. 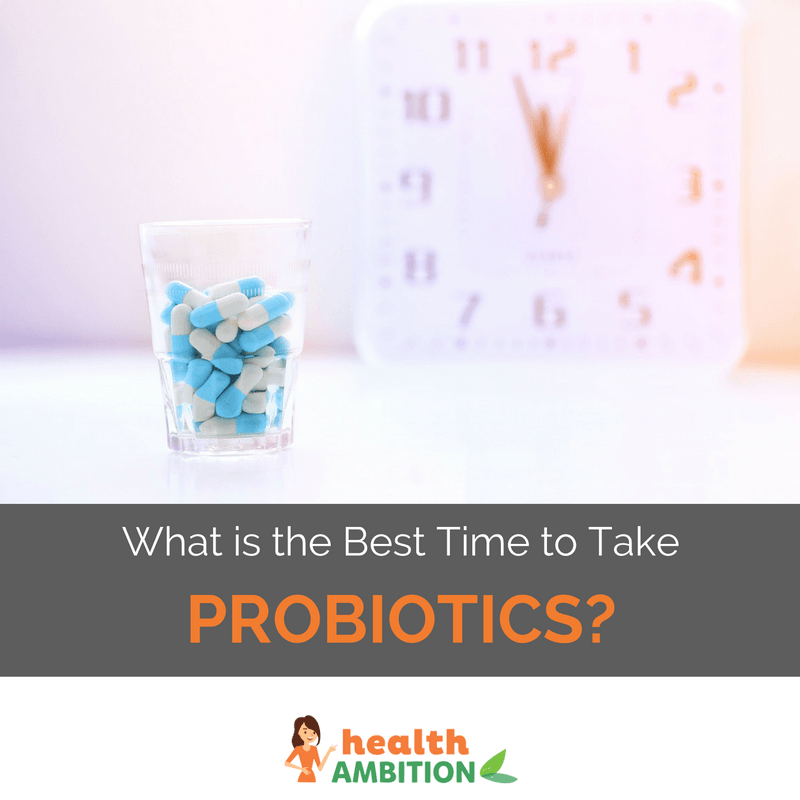 Before I make any recommendations, the first thing to do is consult the manufacturer’s directions for the product you’ve purchased to help you decide when the best time to take probiotics is. The delivery system of a particular probiotic may affect the way that it is best taken and the time that you should take it. In general, probiotics are best taken on an empty stomach when the acid content in the stomach is at its lowest. Less stomach acid gives the bacteria and yeasts a better chance of living to the gut. In most cases, the best time to take probiotics is at bedtime or first thing in the morning. When you take probiotics before bed, you may avoid some of the side effects that that may come with probiotics such as gas or bloating. At the very least, you’ll likely sleep through those uncomfortable problems if they do occur. If you plan to take your probiotic at night, make sure you eat dinner a few hours before bed (and your probiotic dose). This ensures that your stomach isn’t working and that stomach acid levels are reduced. No late night snacking, either! Taking your probiotics when you get up in the morning can also be a good choice. This is due to the fact that your stomach acid levels are at their lowest after a good night’s sleep. This allows the bacteria in your supplement to reach the digestive tract safely and hopefully propagate there. If you choose to take your probiotic in the morning, you might consider putting off breakfast for a few hours. This allows the probiotic supplement time to make its way through your stomach and into the lower parts of the digestive tract. Ideally, you shouldn’t take probiotics around meal times. As I’ve stated above, stomach acid levels are at their peak when you’re eating in order to digest food. However, it may also damage the bacteria that make up your probiotic. Wait a few hours after eating before taking your probiotic supplement. Here’s a video showing the 18 best natural sources of probiotics! If you try taking them at one time and encounter side effects, don’t hesitate to switch it up. If they don’t work for you at one time, take them at another. 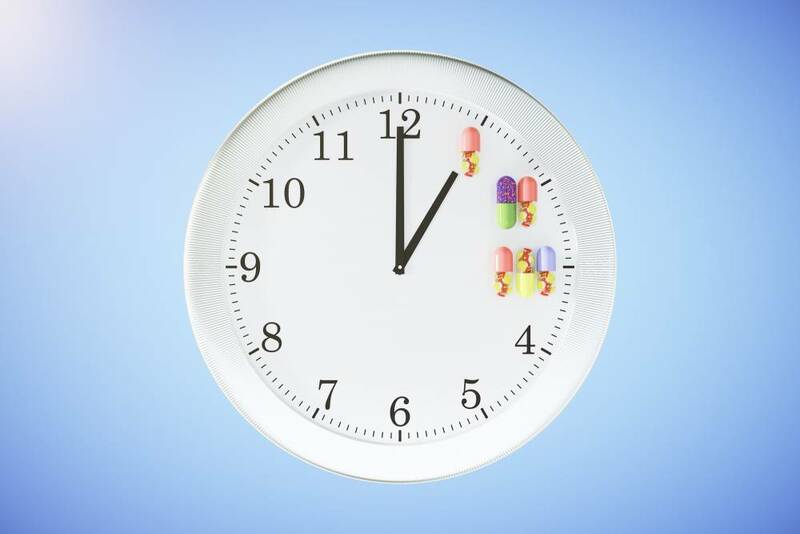 Don’t get too hung up on the optimum time to take probiotics. Even if you don’t take them a couple hours away from eating a meal or snack, they’re still going to do some good. The bacteria that survive to your digestive tract may not be quite as large in number, but they’ll still do their job. When taking antibiotics, you should take your probiotics as far from the antibiotic dose as possible, regardless of meals. Antibiotics are designed to kill bacteria. However, they don’t just kill infection-causing bacteria, they kill your “good” bacteria and the contents of your probiotic supplement too. By spacing antibiotics and probiotics out, you can give your probiotic bacteria time to get to your gut where they do the most good. Even if you don’t take a probiotic regularly, they are frequently recommended for those having stomach issues due to antibiotic use, so you might consider it. Topical probiotics (and probiotics that you insert vaginally for the treatment of yeast infections) are becoming more and more popular skin conditions. You can use this type of probiotic with impunity at any time you choose. The issues associated with taking oral probiotics at certain times don’t apply to topical use. Always talk to your doctor before starting new supplements like a probiotic. This is particularly important if you have an ongoing health condition or take a prescription medicine. Your healthcare provider can offer you invaluable advice based on your specific situation. Your doctor may be able to recommend a great probiotic supplement that contains bacterial strains that will do exactly what you’re hoping for. They have a unique insight into supplements like this and observe how different products work for their patients. It’s also important that your doctor and pharmacist have a running record of all of the supplements you’re using. This can help to prevent drug interactions, and they may be able to help you create a medication schedule that helps optimize all of your medications and supplements. If your doctor has recommended a probiotic, always follow his or her directions when taking the supplement. Whether you choose to take your supplement first thing in the morning, just before bed, or any time in between, rest assured that in taking a probiotic supplement you’re actively contributing to your continued health. Do what works best for you. Change what you’re doing if it’s not working. Taking probiotics at the wrong time is better than not taking them at all. You may simply have to wait longer to see an effect as the concentration has been reduced. Though taking a high-quality probiotic either first thing in the morning or just before bed is the best time to take probiotics. However, they’re still likely to provide you with plenty of health benefits if you take them at other times. Speak with your healthcare provider to determine if probiotics are right for you for regular digestive maintenance or for short term use. If you have any other questions about probiotics or how to best use them, feel free to contact us here at Health Ambition! Hmm, a few studies mentioning the benefits of probiotics, but then no studies backing up advice on when to take probiotics. ? Histamine intolerances are becoming more common and can irritate or cause skin conditions such as hives, asthma, rashes, eczema, and migraines. 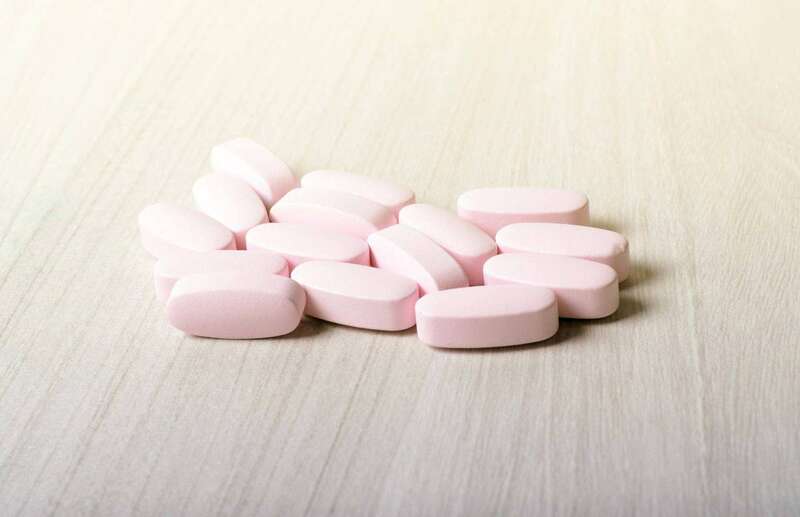 One of the recognized species that is widely known for histamine production, are lactobacillus casei, lactobacillus reuteri, and lactobacillus bulgaricus, which are found in most of the probiotic supplements on the market.